Growing open data initiatives are offering different solutions for opening governmental data to the public. Open data platform solutions provide simple tools for enriching governmental portals with a data dimension. 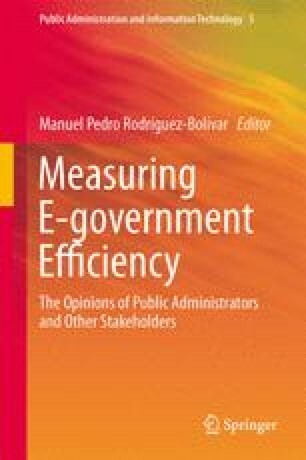 The new data-oriented shape of government inevitably imposes the need for the evaluation of government efficiency in light of open data. Regardless of the numerous initiatives, there is still no globally accepted open government evaluation framework. The purpose of the research presented in this chapter is to present and apply a model for assessing data openness, which relies on eight open data principles established by the Open Government Working Group. The model represents a new approach to the evaluation of open data with real-world application capabilities and is fully described throughout the chapter. As a confirmation of this model’s capabilities, we illustrate the results of its application on seven data portals along with analyses, comparisons, and conclusions regarding the results.